Knowing how to move an aquarium starts with advance planning. You will be moving to a new location and your fish will have to adjust to a different setting. 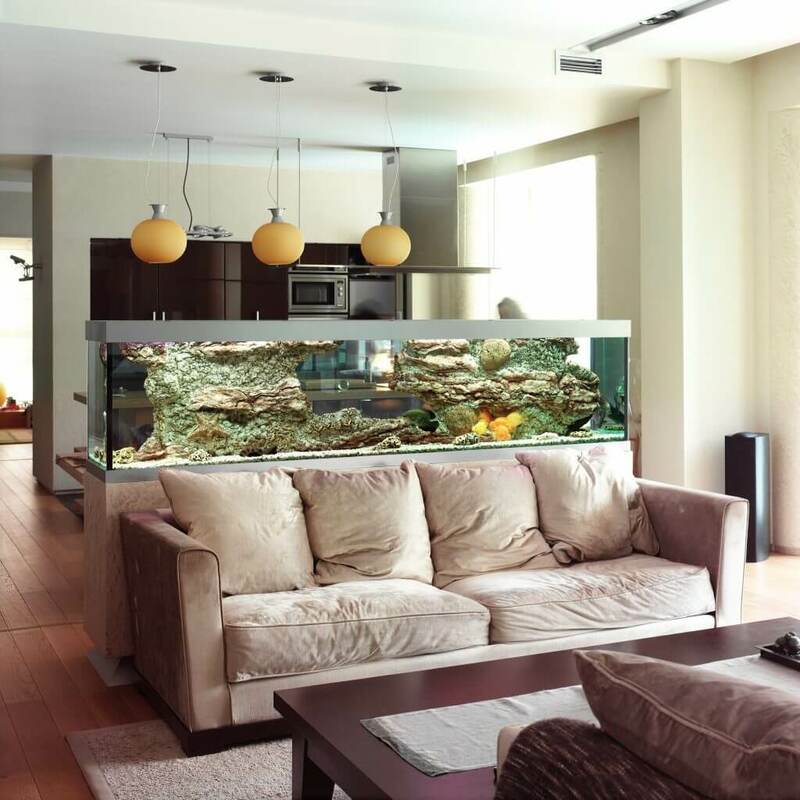 A tank or aquarium that sits on the floor must have the same secure foundation as your old location. It should not be in direct sunlight but you do need electrical outlets nearby. Use the same support furniture such as a cabinet for your tank in your new location. Remember that water weighs about eight pounds per gallon in a tank. Add the weight of the gravel and decorations to calculate the approximate weight of your aquarium on its supporting furniture in its new location. Put your fish in a separate container such as a five gallon bucket using as much of your tank’s existing water as possible. This keeps the fish in a familiar aquatic environment. An insulated cooler is also recommended if it is large enough to hold the fish and water. The cooler or the bucket can be lined with clear plastic bags. Some experts on how to move an aquarium recommend changing 15% to 20% of the water a few days before moving your fish. Others suggest not feeding the fish for two days prior to the move. The bucket or cooler holding the fish should be two-thirds full. The fish are still in water with the correct pH balance and salinity level for salt water aquariums. A bucket with a lid is preferable. You can puncture the bucket lid with small holes so the fish can get some air circulation if they are going on a long ride. Place live plants in the same bucket with the fish or another bucket if there is not room in the fish container. Remove gravel, filters, heater and decorations from the tank. The wet gravel can also be placed in a bucket with a lid. Continue to siphon off as much water as you can into buckets so that you can put it back into the tank in its new location. Other recommendations on how to move an aquarium include discarding the bottom layer of water on the gravel and rocks since it probably contains waste. An empty tank will travel better than one that is partially filled. Leaving gravel in the tank can put stress on the seals that hold the panes of glass or acrylic materials. Movers should know how to move an aquarium that is empty. Unpack the tank and its supporting furniture first in its new location. Carefully replace the gravel, pump motor, filter, lights and other decorations. Fill the tank with the water you saved and let it settle. Check the pH level and saline content if applicable. Make sure everything is in balance before replacing the plants and fish. You can turn on the pump and filter before the fish are replaced as long as you have water in the tank. Plants should be replaced first and allowed to float to the top of the tank. Add the fish using a net. Let them adjust to the change before slowly adding the water they were in while moving. Add the water until it is at the usual level. Replace the tank’s top. Replace 10% to 15% of the water weekly and keep the water chemistry consistent. The fish should be able to make the move smoothly as long as water conditions stay the same. They will be happy in their old home in your new one.